Jeffrey Tayler. Los reinos perdidos de África. Barcelona: Alhena, 2008, 370 pages. Translated by Marta Pino Moreno. ISBN: 978-84-96434-05-9. Spanish translation of the original title: Don Tapscott and Anthony D. Williams. MacroWikinomics. Portfolio Penguin, 2010. Published in Spanish by Paidós. 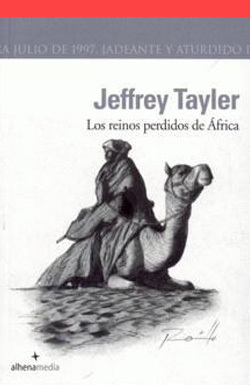 Spanish translation of the original title: Jeffrey Tayler. The Lost Kingdoms of Africa. Little, Brown & Company, 2005. Published in Spanish by Alhena.